Angular momentum about a point is calculated as , where is the mass of the particle, is the position vector from point to the particle, and is its velocity. 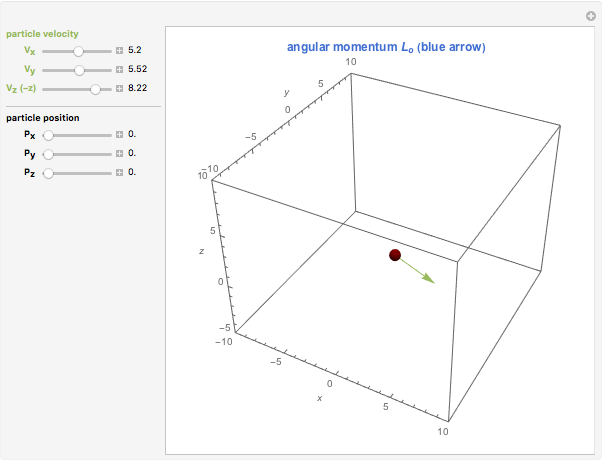 This Demonstration shows the interaction between position, velocity, and angular momentum about the origin. 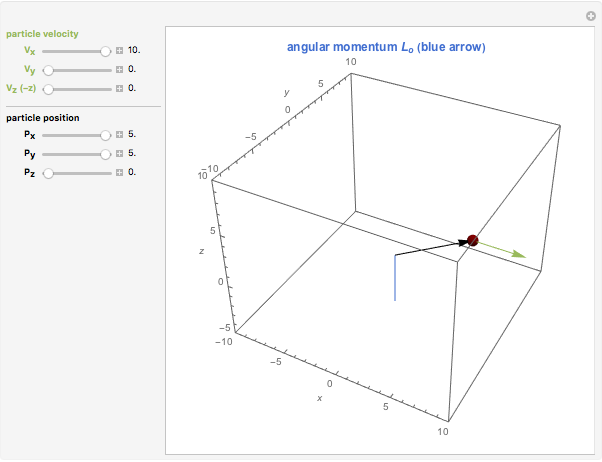 It also shows that angular momentum is a vector quantity, with both direction and magnitude. For simplicity, assume a mass of 0.5 kg, and limit the velocity components to the range 0 to 10 m/s. 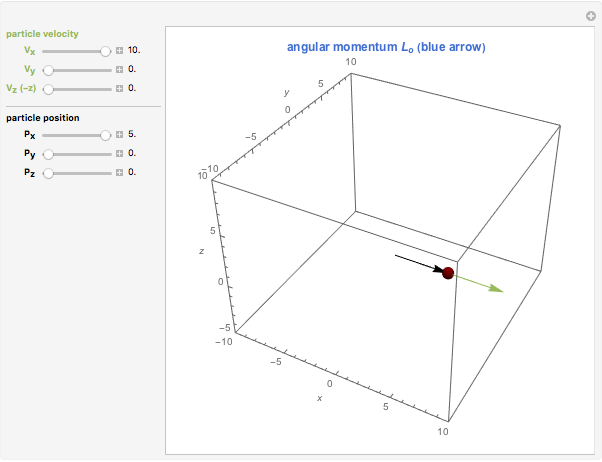 Fredericka Brown "3D Angular Momentum of a Particle"